This Italian Life: AUNTIE PASTA: Salute! 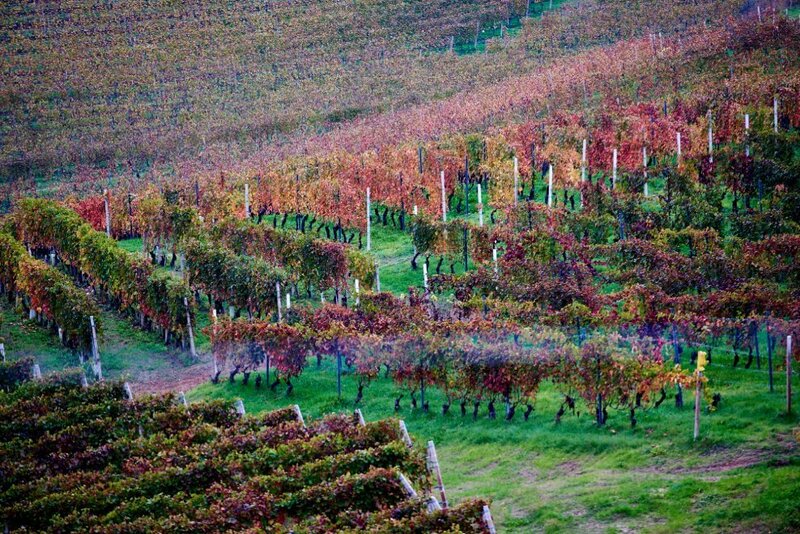 CHIAVARI, Italy – Shorter days and cooler nights turn Piedmont’s wine district into a wonderland of color. 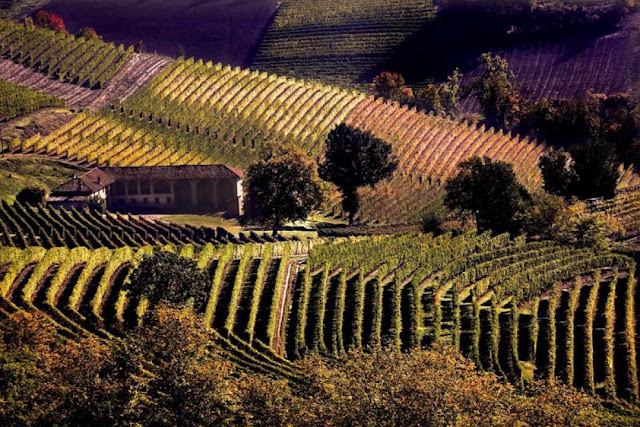 This is Italy’s famous Langhe and Roero wine-growing regions of Piedmonte. They are small ancient provinces where traditional wine making techniques are still alive and well. 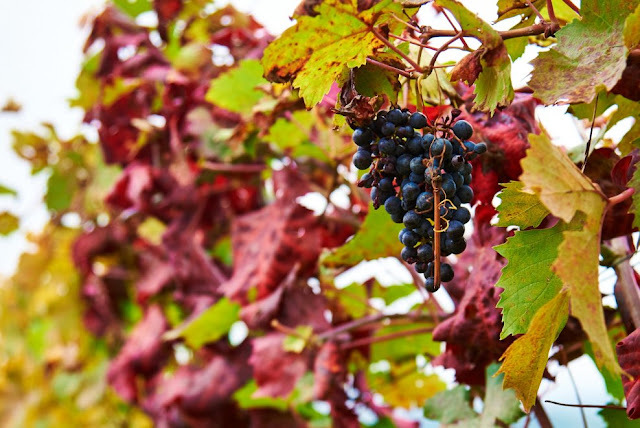 The grapes grown in these regions produce the world-renowned red Italian wines Barolo, Barbaresco, Nebbiolo and Dolcetto. This region within a region covers a fairly large and roughly triangular swath of rolling vineyard country around the town of Alba. 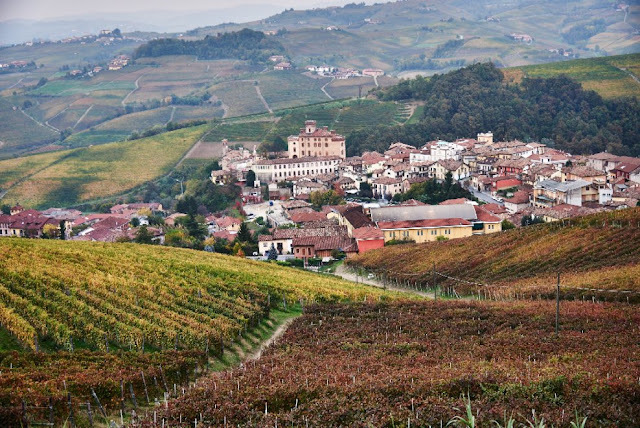 Alba has traditionally acted as a gate to the Langhe mountains and a passage to Liguria. In fact the area was originally inhabited by Ligurians who invaded the area five centuries before Christ. Tourists from around the world come to Piedmont to follow the “wine trail” through the wine growing zones of Dolcetto d’Alba, Barbera d’Alba and Nebbiolo d’Alba. 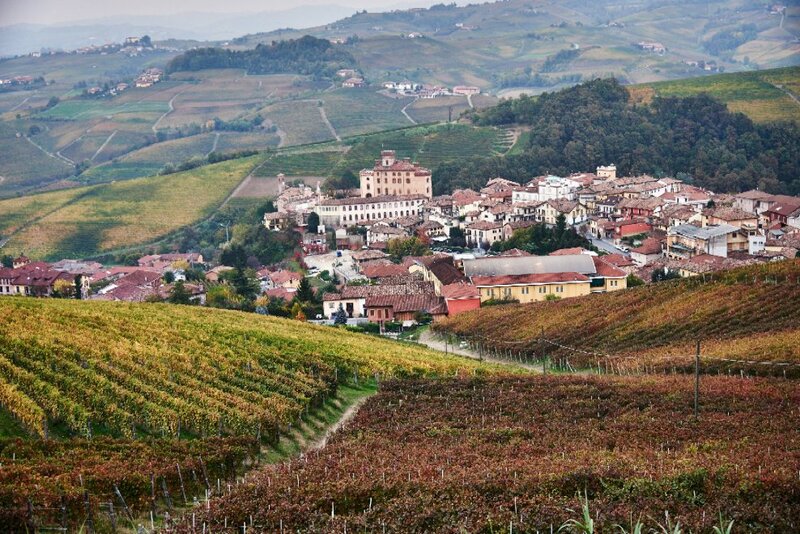 The town of Barolo, which is known throughout the world for its wine, is 9 miles (15 kilometers) from Alba. Barolo is a splendid medieval town. It is one of the eleven communities where the black Nebbiolo grapes from the “Nebbiolo” vines, are used to produce Barolo wine, can be cultivated. Serralunga has a beautiful castle while Monforte and La Morra will dazzle you with panoramic landscapes and delicious food. To the east of Alba you’ll find Barbaresco, home to Barbaresco wine also made from Nebbiolo grapes. 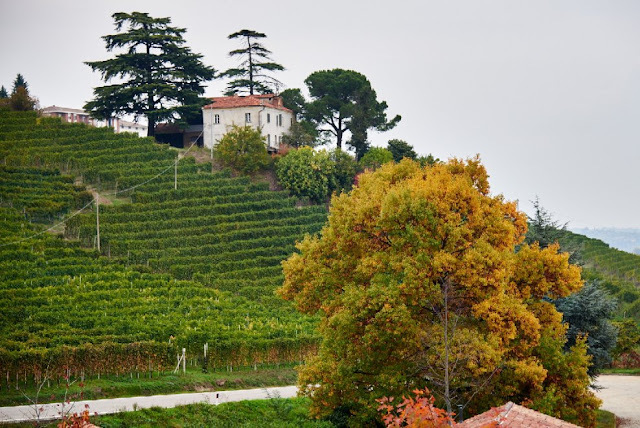 This area also includes the towns of Treiso and Neive which are known as the towns of four wines: Barbaresco, Dolcetto, Barbera and Moscato. The hills and valleys of the Langhe are beautiful in all seasons, but most will agree beautiful turns to spectacular in the fall.